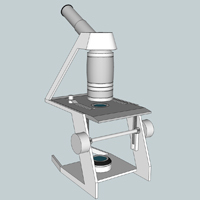 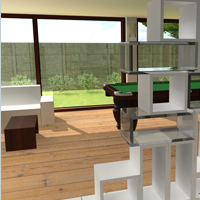 Photo-realistic simulation of the project with Mental Ray rendering engine. 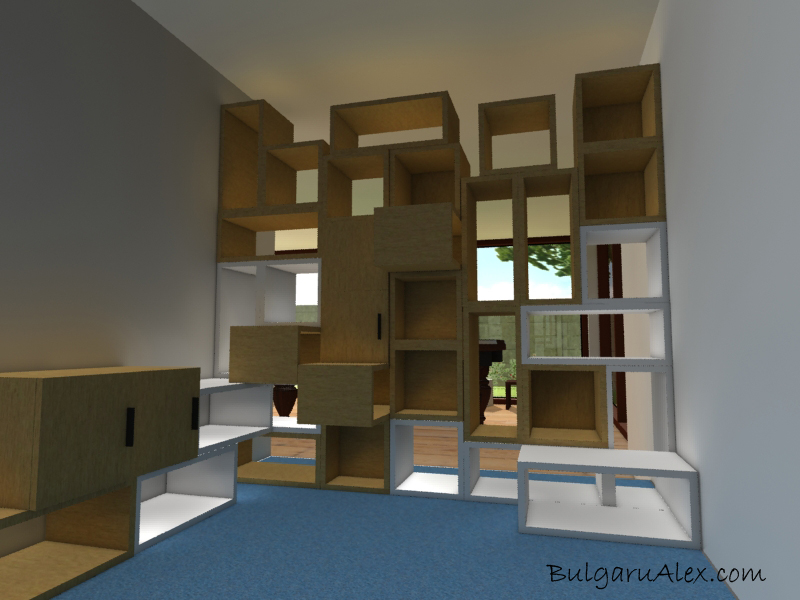 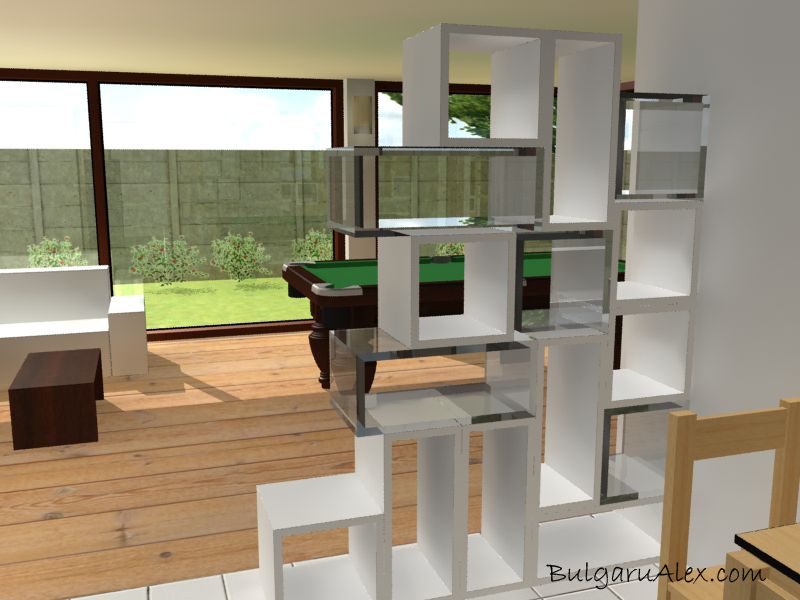 Furniture design: a funiture made of cubes which can split a room in two or can be used to build shelfs, chairs, tables. 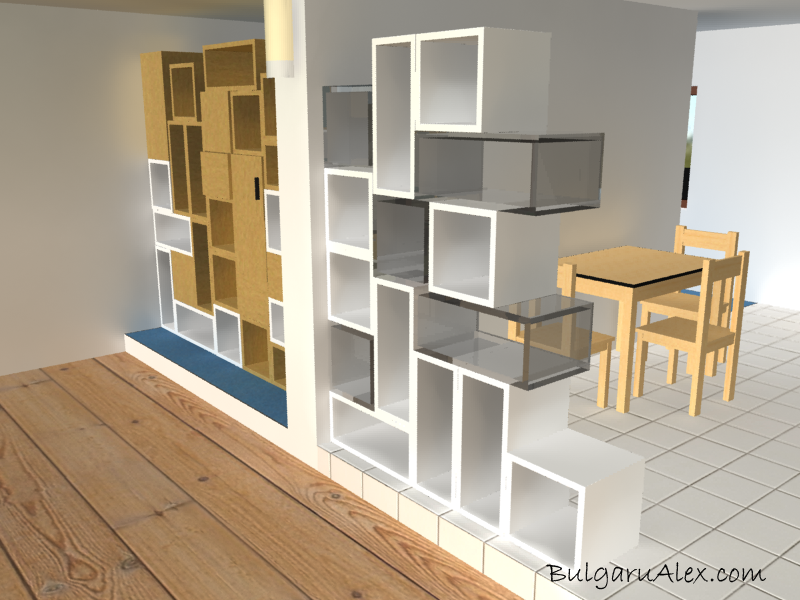 The cubes come in wood, plastic and plexy.